Wednesday, September 13, 2017. It’s 3 pm when a charter from Libya landed on the International airport with 146 Burkinabe migrants on board an aircraft13 of whom were women. Theresa Compaoré is among the Burkinabe living in Libya who decided to head back home after multiple exactions for which they were victims. Dressed with a blue jeans and a red T-shirt, Mrs. Compaoré is the first woman of that September convoy to set foot on the land of her ancestors. As luggage, she was just fitted witha small black backpack and a blue plastic bag, she is back to Burkina Faso after having spent five months of ordeals in Muhamar Gaddafi’s country. And it’s with much pain that she tried to get the right words to express her mishap. « It was not easy, I prayed a lot so as to come back home. I can’t explain what I underwent. It was horrible », she murmured still under chock. Theresa European dream turned back to a nightmare in the « Libyan Hell ». « We’ve been arrested in the desert and put in custody. Life conditions are unbearable overthere so that some lost their lives. I’ll never advise someone from going there », she witnesses. Like Theresa, they are many, these Burkinabe who fled that previously hospitable country to come back to the fatherland. D. K. once tempted by the adventure, is among the list too. Went to Libya on March 3, 2012, he returned home after having spent three (3) years and three months. Thursday 27, July 2017, we met him when back from the Mosque located at a stone throw from his pressing workplace in sector 7 of Tenkodogo. His iron in his hand, that man dressed with a white shirt was speeding up in order to respect his clients. He expressed his availability to speak about his Libyan experience with the sole condition of anonymity. That worklplace where heaps of clothes to be ironed were, just enables him to provide for his Family needs, said the polygamous man D.K. « Prior to my departure in Libya, my conditions were better than that. This is how life is, we must take it as such », he uttered by shrugging his shoulders. In the past, his spare parts trade worked marvelously, said he. However, he was dreaming to make money in no time at all in Libya. « My brothers who already lived there insured me that I could get 50 000 FCFA (about 76.5 Euros) a day. After a long thought, I told myself that within a six month time there, I could come back with enough moneyto resume my commerce », he said with an evasive look. Thus, D.K. stung by « adventure virus », seized his bag towards Saba, a Libyan town with 225 000 FCFA in his pocket. During his travel, he stopped in Niger from where he asked for a supportof about of 50 000 FCFA from his family stayed in Burkina Faso. On the Libyan soil, he borrowed again 60 dinars (about 25 000 FCFA or 38.2 Euros) for a guide in order to reach his final destination. On the spot, he starts discovering the realities of the ground. « My first job consisted in demolishing walls, taking away tiles for reconstruction. I evolved in that sector during a year and I would get less than 10 000 FCFA a day », he crestfallenly confides in. Not being satisfied, he left that work for dry cleaner activity before investing himself later on in business. My job, he rushed to explain it, consisted in helping my compatriots who wanted to send money home. When listening to him, that activity was successful for he owned a passport unlike most of his fellow citizens. Thanks to that « sesame », he could regularly go into a bank for money transfert and made him paid by the beneficiary for this favour done. But the Libyan crisis harmed the business with the financial institutions closing their doors one after the other. Seeing his chances to make profits vanishing, he decided to head back home. If D.K. is always ready to try again his chance of going back to Libya when peace is set, it’s not the case for number of his compatriots who still keep a very bad memory of their going to Libya. 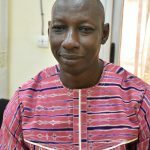 Yacouba Balboné, aged 45 and living in Woumnonghin, a village located at about 20 kilometers far from Tenkodogo, spent seven months in that country in 2014. Back from country works at sun set, the forty-year old man shows signs of fatigue. He « throwed » himself in his armchair without worrying about his surrounding. When time came to talk about the subject, we heard a dry voice tacked with anger which welcomed us. « I don’t advise my son to go to that country. I didn’t want to remimber about that past time », he said to us. After that, a long silent followed before he decided himself to tell us his agony with his eyes almost tearing. « I’ve been deceived by a friend (Alidou Zerné) who was about to return to that country. Thanks to my profession of masonary,I earned my life better here. He convinced me that with this job, my position would be much better in Libya and he wanted to entrust me with a job of carpenter. I then sacrified contrats of around 1 500 000 FCFA to follow him », he explained with great sadness. Attemps from his family to dissuade him failed to bring this head of household to put in practice his project. The travel was perilous to him (more than 20 days on the road), above all during the crossing of the desert on Libyan territory. « Our daily meal was constituted of « gari » (that cassava powder). We discovered human skeletonsand dead bodies in small Mosques in the desert », he explains in a low and interrupted voice. Mr. Balboné was not out of his trouble. He will be left alone by his friend at Godoua, a small Libyan town. It was at that moment he realized he was object of deception. « We were obliged to hide ourselves in a room to avoid being victims of bandits who were going round the city. I stayed three months without working before starting with small jobs », he remembered. Tired of living in underground, he decides then to go back to his country. « I called in village to tell people to sell one ox but my friends persuaded me not to do. They suggested me to carry on exerting the small jobs that would help me to return home. That was how I came back home with empty pockets and this after seventeen (17) days of road. For my transportation fees from Koupelà to Tenkodogo, it was my family who paid them », he said. Today Yacouba Balboné tries to resume his former profession, but alas, the doors of the market are almost shut for him. « I don’t have any clientele any more. I devote myself today to agriculture in quite difficult conditions. I put myself behind », he regret bitterly. Yacouba Balboné is greatful to God for as he said, the position of his family could have been catastrophic at his absence. « When back, I remarked that the state of education of my children got a serious blow. Some even refused to go to school, but I happened to make them change their minds. », he added. He also told that the wife of one of his relatives left him when he was in Libya because she stayed for a long time without any news about him. Like Yacouba Balboné, they are many the Burkinabe who underwent difficult moments on Libyan soil and who continue being down here in the country. Ounzéogo, a village about ten kolmeters from Garango, seems to be one of those villages where the rate of inhabitants having emigrated to Libya is quite high. There, it’s about fifteen repatriated persons from Libya whose age varies between 19 and 32 that we met. These young people who underwent multiple reprisals have come back home thanks to the support of the embassy of Burkina Faso in Tripoli and from the International Organization for Migration (IOM). Ayouba Zombra, aged 23, had lived in Libya for two years and he returned in 2016. The Libyan security forces and bandits made him undergo all sorts of humiliations. « I spent two months in prison and my brother had to pay 400 000 FCFA as fees for my release. In that adventure, my roommate, Aziz Zabsonré, lost his life », he deplored. Aziz Zombra aged 25, has been arrested and put into a barrel for few minutes. To save his life, his family and friends have been obliged to financially « bleed » themselves so as to free him. A second time, security forces invested his house but they didn’t get any other choice but running away. « My friend Hamado Limané received a bullet in his thigh during the flight », told Aziz Zombra. « I lived the same agony, added Mohamoudou Zombra ». Back from Libya on July 13th, 2017, the 32-year old man recognized having received a bullet in his thigh, what made him a disabled during four months. Most of those young men declare to have come backempty-handed and they are still struggling to make ends meet. Sibané Hottouma, born in 1952, Boureima Sibané’s uncle a repatriated man from Libya, acknowledged having supported his nephew in that perilous adventure. «When he was back, he brought anything. I still continue supporting him with his small needs », he said, while pleading that young people in such a situation be rescued. « If they don’t benefit from any support, I fear that some devote themselves in less respectable practices. If theyhave anincome generatingactivity here, this will take away from their minds any idea of going back abroad », he indicated. Adamou Zombra about sixty-year old, share the same point of view. For him, Libya was a sure destination for Burkinabe under Muhammar Gaddafi’s rule. But today, it has become synonyme of suffring. « My son Idrissa returned home because he was constantly object of persecution. I sold oxen at about 380 000 FCFA (580.1 Euros) for his first travel to Gabon.Conditions were not favorable because he was put in jail. When back, I gave himagain an amount of 250 000FCFA (381.6 Euros) to try his chance by going to Libya. This second attempt produced the same result. He needs now a support to bring his life back on track but I no longer have means as in the past », he confides with a seed of regret. Those young people from Ounzéogo back home in 2016 and 2017 thanks to the IOM, devote themselves to agriculture. According to them this is a new start and they say they are expecting a lot from the authorities. « When we came back in Ouagadougou, the IOMgave to each of us an amount of 32 500 FCFA (49.6 Euros) to join back our respective families. We are greatful to them and continue pleading from some goodwill for the achievement of our projects », supported Ayouba Zombra. He said that he went twice to the IOM headquarters in the capital city in search of information related to an accompaniment promised by the organization, but without any result. According to Nathalie Duveiller in charge of the project at IOM Burkina, the current programme of support to migrants returned home for reinsertion is very limited. But, she reassured, in view of favouring their sustainable insertion, the IOM has developed the aid programme for return and reintegration (APRR) of migrants. For that, she precises that each migrant will benefit from a technical and financial support for his/her reintegration. « The accompaniment phase includes a training in company creation and management, the writing of a business plan respecting the will of the migrant, the buying and the necessary provision of material and equipment for the conduction of the income generating activity », she detailed. Through these initiatives, the IOM wants to accompany the government of Burkina Faso in its efforts to offer sustainable alternatives and solutions to the Burkinabe migrants. Such initiatives are expected by structures in charge of youth issue of the Central-East region for it provides most of the migrants returned home. 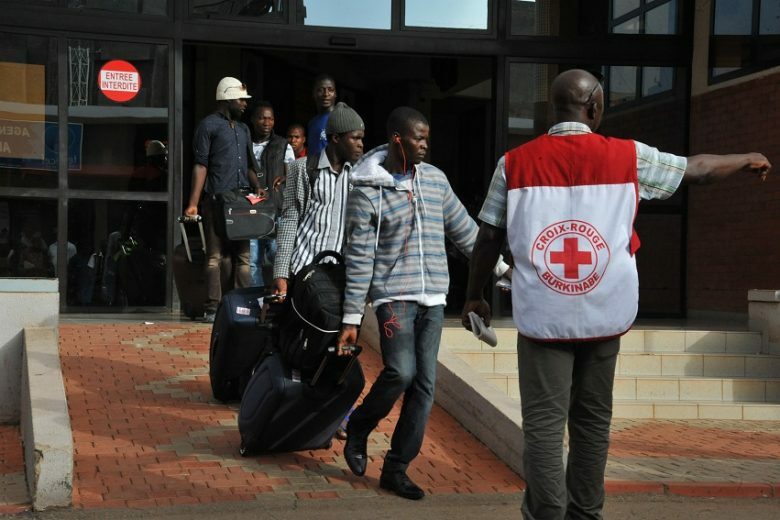 According to the national Council for rehabilitation and emergent rescue (NCRER/CONASUR), over 771 Burkinabe returned from abroad, 456 are from that part of the country among them 326 from Libya. In addition to poverty and unemployment common to the young of all the regions of the country, the banding effect would be the main cause of the high rate emigration in the zone. According to the Central East regional director in charge of the family, women affairs and national solidarity Mrs. Marie Thérèse Sombougma, the reality is that some migrants happen to succeed in investing enormously in the country. « Their achievements are quite striking that they push other young people to try their chance so as to leave their families from misery », he justifies. However, said the regional director, most of the migrants feel multiple difficulties. To dissuade the young from taking up such risky projects, the regional direction of human rights and civic promotion is endeavouring in the sensitization in order to discourage possible candidates to migration. « In collaboration with the IOM, we organized many sessions of sensitization towards some young people. We associated the education actors, traditional leadersto explain them the inconvenients of underground immigration », said the regional director of human rights and civic promotion of the Central East, Al Hassan Kaboré. During the sensitzation sessions, the direction in charge of human rights projeted images of capsized ships to dissuade the most sceptical. 3) Persecuted in Muhammar Gaddafi’s country, they decided to head back to their fatherland on September 13th, 2017. 5) These « Libyans » from Ounzéogo wish the authorities and the IOM help them in their reinsertion. 8) For lack of means, the Zombra brothers who wanted to build their store in the market of Ounzéogo, will no longer be able to do it. Abdoulaye Balbone was born at Cocody, a suburb of Abidjan, in Côte d’lvoire. After his secondary education, he enrolled in the Training and Research Unit in Economics and Economics Management where he obtained a degree in Economics in 2015 with concentration in Macro-Economics. He then joined the Burkinabè Movement for Human and Peoples’ Rights (MBDHP) in 2007 as the permanent secretary for Boutique of Law, a structure specialized in the support for the rights of victims of violation. In 2012, Mr. BALBONE was admitted to the public service journalism competition. After three years of training, he was assigned to the editorial of the daily newspaper of the state (Sidwaya) in September 2015. He works currently at the political and diplomatic desk of Sidwaya.